Please see the below letter The Baby's Den recieved directly from iCandy. This recall seems to affect the Cherry stroller only and does not affect sales of the more popular iCandy Peach Stroller found here. iCandy America, Inc. & iCandy World, Ltd. has been made aware from Consumer Reports and CPSC, that the iCandy Cherry Strollers (Item#s IW119 and IW124) are not in compliance with the voluntary standard ASTM F833 Clause 6.8 – Passive containment. It has been determined that if a child is not properly harnessed in their seat, the distance between the Cherry bumper bar and Cherry stroller seat unit has enough space to allow the torso of the child to pass but not the head of the child. This could allow the child to become entrapped which could result in strangulation of the child. Since safety is and always will be #1 priority of our brand, we have decided to immediately make an amendment to the bumper bar on the American model of the Cherry stroller. We will be sending these replacement Cherry stroller bumper bars free of charge, to all USA retailers who currently have inventory and customers who are in possession of the Cherry Stroller. We are working with CPSC to ensure that this process is carried out swiftly and efficiently and you will receive further information and documentation including recall posters shortly. 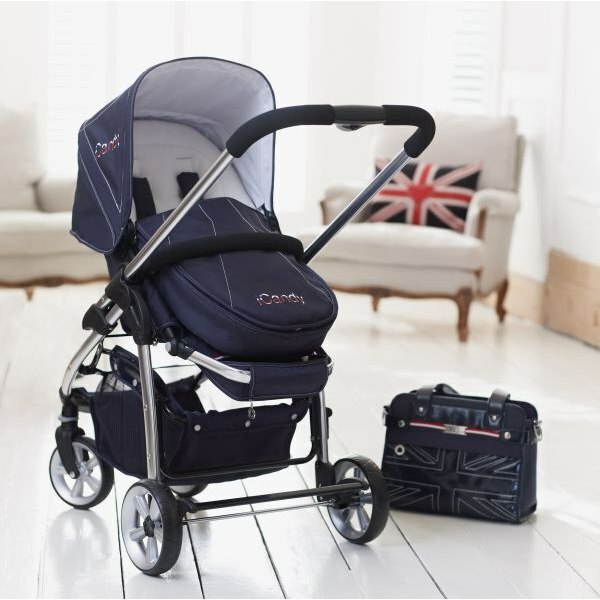 We would like to stress that out of all of the iCandy strollers sold worldwide; including the Cherry Strollers for the USA & other markets, we have not received any complaints in relation to this matter. Before bringing the Cherry strollers into the U.S. in 2009, they were tested and deemed fully compliant.